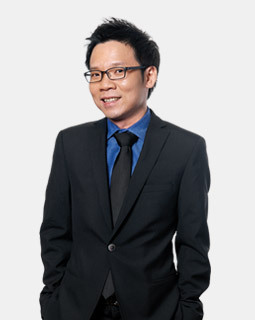 Noted by market commentators for his extensive focus on Islamic finance, Megat has been recognised as one of the leading lawyers in his area of practice, through publications such as the International Financial Law Review’s Guide to the World’s Leading Islamic Finance Lawyers and Expert Guides, Legal 500, Chambers Asia as well as Islamic Finance News’ Leading Lawyers Directory. He covers a wide range of structures, including Murabahah and Ijarah transactions. He is especially active in assisting banks with debt restructuring issues. Clients have noted his “knowledge and experience in applying Shariah concepts are indeed valuable”. He sits as a member of the Shariah Advisory Body for both Syarikat Takaful Malaysia Keluarga Berhad (“STMKB”), a Bursa Malaysia-listed company that deals with family takaful (Islamic insurance), and Syarikat Takaful Malaysia Am Berhad (an STMKB subsidiary company that deals with general takaful). Megat advises clients on issues pertaining to the legal and regulatory framework, as well as matters relating to applicable Shariah standards for Islamic financial or investment transactions. 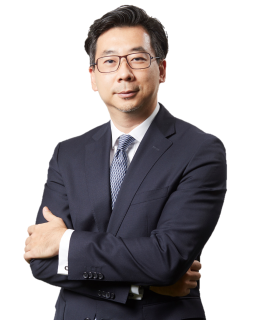 Megat was recently ranked as a "Leading Lawyer" on The Legal 500 Asia Pacific 2019 ranking. Advised the Employees Provident Fund on restructuring and rescheduling of a RM6.5 billion financing facility based on Bai’ ‘Inah, granted to a statutory body. Advised the Employees Provident Fund on restructuring and rescheduling of Islamic and conventional financing facilities of up to RM4 billion in aggregate amount, granted to a statutory body. Advised the Employees Provident Fund on a RM1.5 billion financing facility programme, based on Bai’ ‘Inah, granted to the special purpose vehicle of a government-linked entity. Advised the Malaysian Ministry of Finance on the issuance of a US$2 billion Global Sukuk Wakalah by a special purpose vehicle issuer wholly owned by the Minister of Finance Incorporated. Advised the Labuan Financial Services Authority on the review and recommendation of amendments to the legal framework for the Labuan International Business and Financial Centre (Labuan IBFC), including the drafting of the Labuan Islamic Financial Services and Securities Act 2010. Advised Bank Islam on the legal documentation and legal issues relating to several financing facilities granted to NGC Energy Sdn Bhd (the Malaysian subsidiary of National Gas Company, SAOG, Oman) for funding its acquisition of Shell Malaysia Trading Sdn Bhd’s liquefied petroleum gas business and assets. Advised Barry Callebaut on a USD100 million Islamic financing facility granted by Standard Chartered Saadiq, for funding of Barry Callebaut’s business operation in Indonesia. Advised the joint principal adviser/joint lead arrangers/ joint lead managers in respect of a RM1 billion Sukuk Wakalah Programme by ABHC Sukuk Berhad. Advised Maybank Islamic Berhad and Maybank Singapore on the proposed financing and security arrangement to be offered by Maybank Singapore to prospective customers, i.e. Singaporeans and other nationalities residing in Singapore. Advised Bank Mandiri (Indonesia) on Malaysian law issues relating to the proposed establishment of its commercial bank subsidiary in Malaysia. Advised HSBC Amanah and Al-Rajhi Bank on the legal documentation and legal issues relating to several financing facilities granted to Naza TTDI Sdn Bhd (one of Malaysia’s premier property developers). Advised Kuwait Finance House, Standard Chartered Saadiq, HSBC Amanah, Bank of Tokyo-Mitsubishi UFJ, CIMB Islamic, Maybank Islamic, RHB Islamic, Kenanga Investment Bank and other Islamic financial institutions on the development of a master template/precedent documentation for their Islamic financial products. Advised the issuer in respect of a RM1.3 billion Sukuk Murabahah Programme issued by QSR Stores Sdn Bhd. Advised the customer in respect of Islamic financing facilities of RM400 million in aggregate, granted by Maybank Islamic to QSR Brands (M) Holdings Berhad.